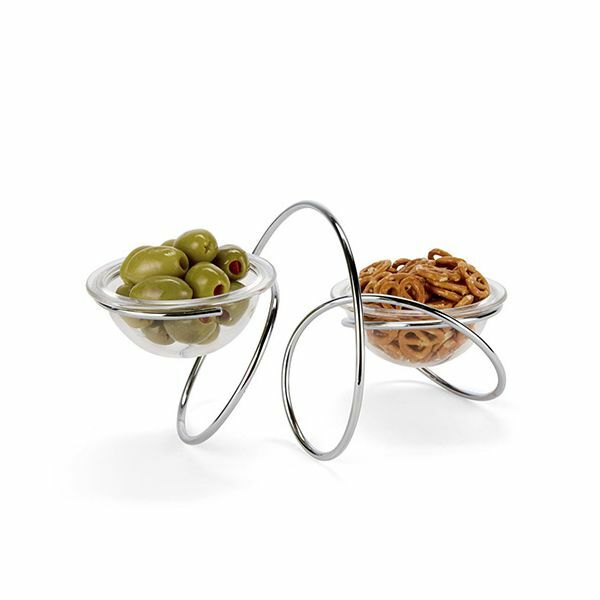 This beautifully styled and elegant double bowl loop is a great way of serving your olives, snacks and even dips. 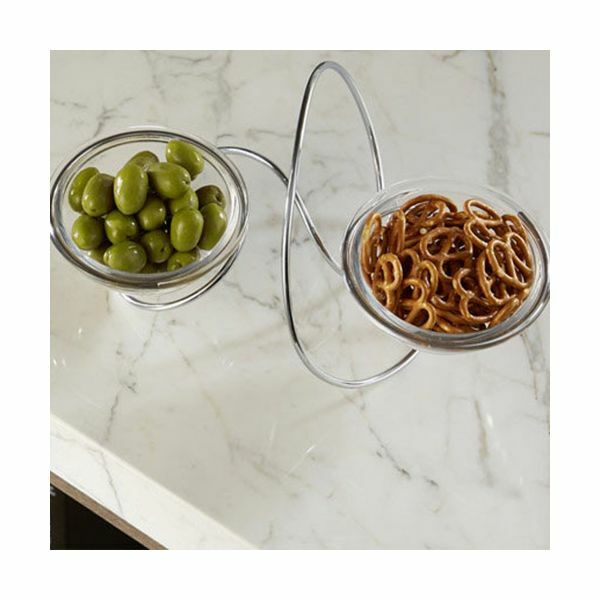 The loop design is styled to sit ornately on your table or bar. The glass bowls are dishwasher safe and are a great way of serving small bites.